Cube's Elly Cruise Hybrid is defined by the distinctive, fresh design language of both frame and components. Elegant and understated, it's a modern classic that you'll be proud to be seen on. 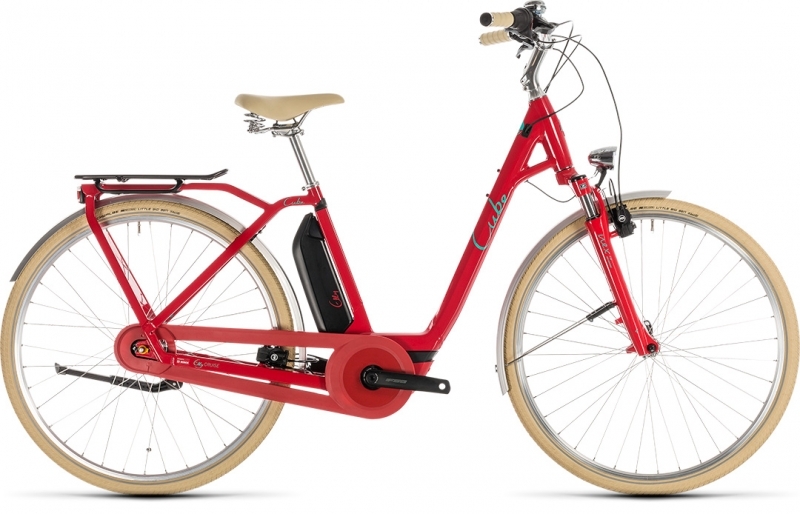 But don't judge it just by its looks, because this Bosch e-bike also boasts a high quality and innovative frame with built-in luggage rack, Bosch's benchmark drive technology and a host of versatile, reliable features aimed at making your cycling both safe and fun. From the powerful hydraulic rim brakes to the comfortable suspension fork, reliable and easy-to-use Shimano 7 speed hub gears and beautifully thought out finishing details, the Elly Cruise Hybrid is a class act.